Donna from Funky Junk Interiors is the queen of junk. When I saw this mason jar message center on her blog I just knew I had to feature it here. 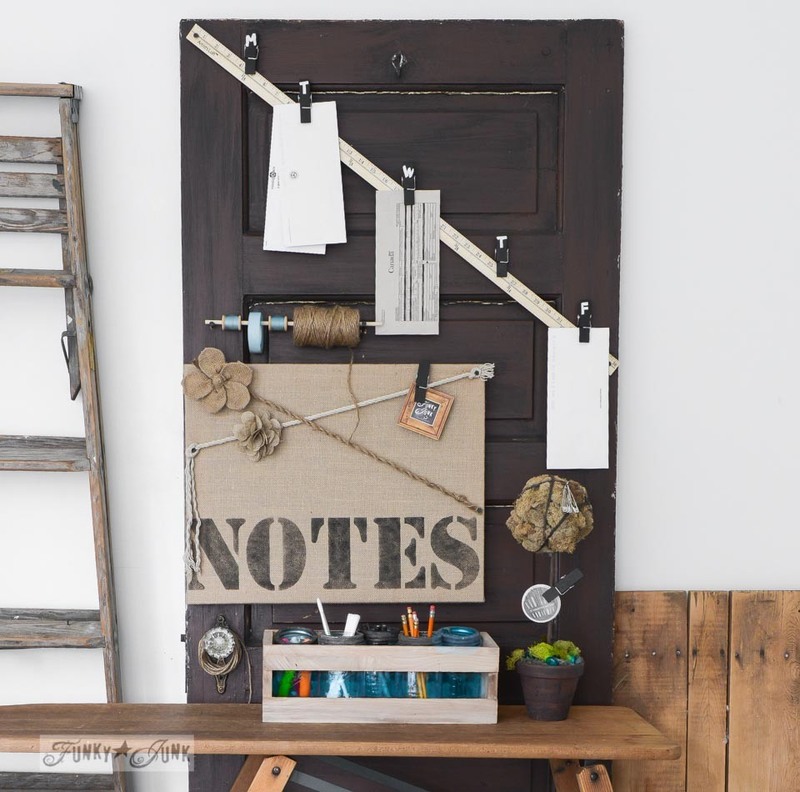 Take items from around your home and make your own message center just like Donna's!